Fermentation is not a trend: The process of fermentation occurs naturally, and has been used for food preservation and production for thousands of years. The breakdown of carbohydrates and proteins via microorganisms like yeast, mould and bacteria is responsible for many of the foods and beverages you probably already eat and love – think bread, cheese, beer, wine, soy sauce and yoghurt. 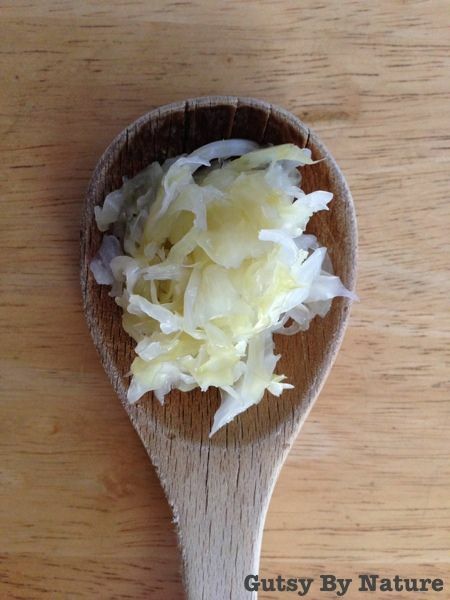 Fermented foods are full of bacteria: GOOD bacteria! Although bacteria and food aren’t generally a good combination, most people are aware now of the benefits of healthy bacteria (probiotics) for the gut and immune system. Probiotics undoubtedly conjure up images of yoghurt and dairy foods, and although these are great sources of healthy live cultures, you may be surprised to know that other classic ferments like sauerkraut and the Korean staple kimchi, as well as meat free protein sources like tofu and tempeh, are also full of them. They come with some interesting health benefits: Other than the well documented connection between probiotic consumption and the treatment of diarrhoea and potentially irritable bowel syndrome (IBS), evidence is emerging to suggest that the consumption of fermented foods may be beneficial for conditions like obesity and mood disorders. 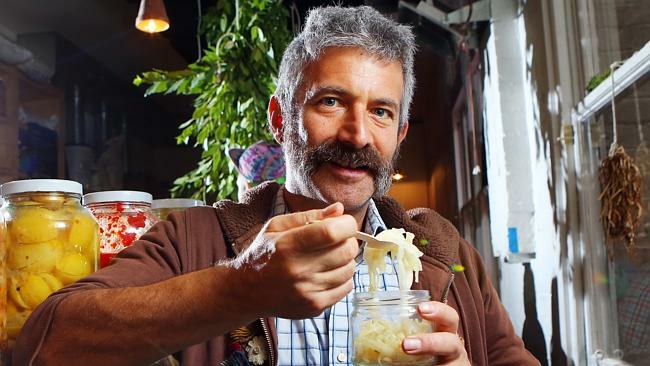 Sandor Katz – fermentation revivalist. Image from The Australian. It’s not difficult to make fermented foods at home. Sauerkraut is the best place to start. All you need is cabbage, salt, and a jar to store it in. Here’s a simple recipe from The Kitchn to get you started. I got a Yonanas, and I want you to have one too. This is so interesting! This reminded me of my ‘Kimchi experience’ which occurred when I was on a 3 week trip in Korea a few years ago. I was living in a home-stay situation the whole time, so ate as the Korean people do. That meant I ate Kimchi at every meal (yes even at breakfast!). The thing that I was reminded of was the fact that I felt amazing at the end of the 3 weeks. I actually seemed to lose weight even though I ate quite a lot of (admittedly pretty healthy) food. Of course other factors could have contributed to this, but in general I felt that kimchi and the Korean diet as a whole gave me a really good sense of well – being! Thanks for this really interesting posting on your blog. Hi. Indeed “fermented foods are having a moment.” I have been doing a lot of vegetable fermenting over the years and if you would like some recipe ideas for your own fermentation fun (Burdock Kimchi is up now.) Check out fermentista.us. Cheers. Will definitely check them out! Thanks for reading. We are no Koreans but we love kimchi. Now that we know it can help reduce weight, more the reason to eat them. We also like the salted mustard vegetable available at Asian groceries. Are they considered as fermented? Thank you Felicity for latest research!